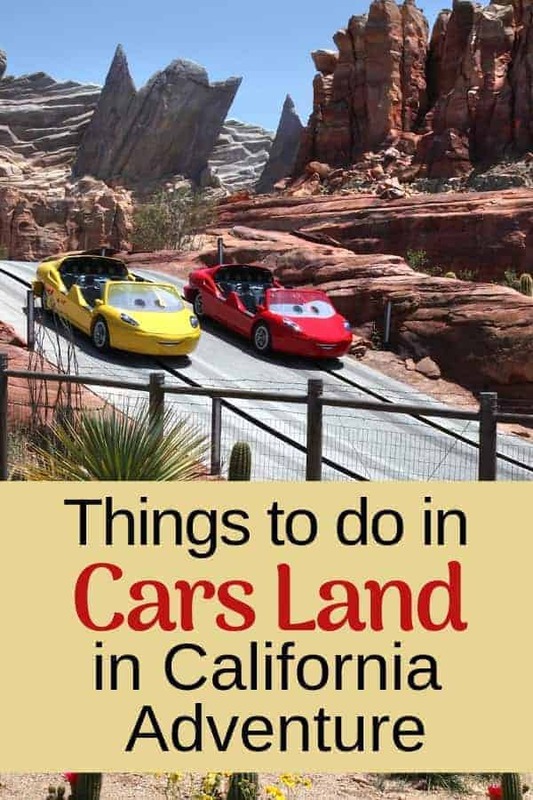 If you haven’t been to Cars Land in Disneyland’s California Adventure park, you are really missing out on some fun! 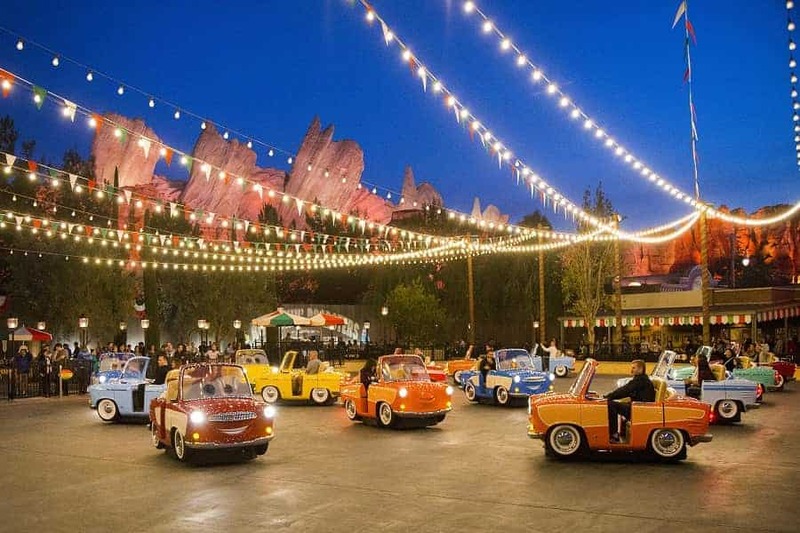 This part of the park looks like “the cutest little town in Carburetor County,” and is filled with 12 acres of fun attractions inspired by the Pixar hit franchise, Cars. 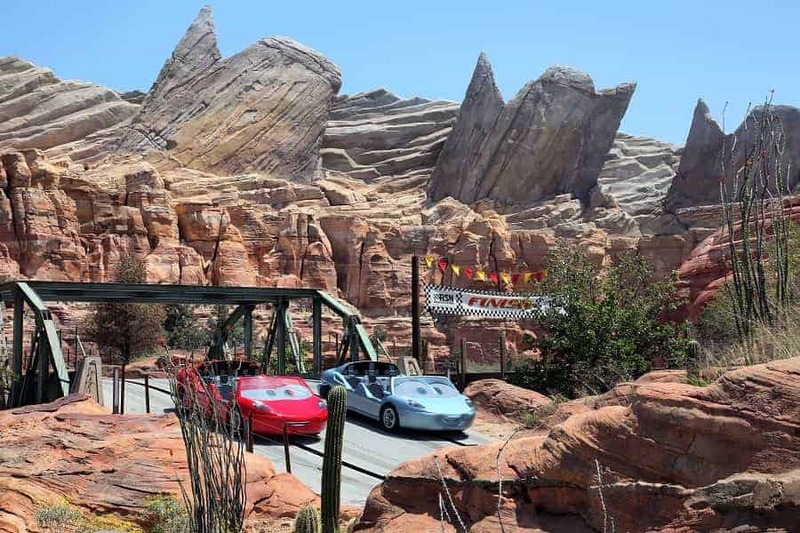 You don’t have to be a fan of the Pixar movie to appreciate all Cars Land has to provide in terms of experiences. But if you are a fan of Cars, you are going to love this place even more! It looks just like the movie! Mater provides his own unique siren song, courtesy of a Junkyard Jukebox that has lured baby tractors into Mater’s Junkyard Jamboree. 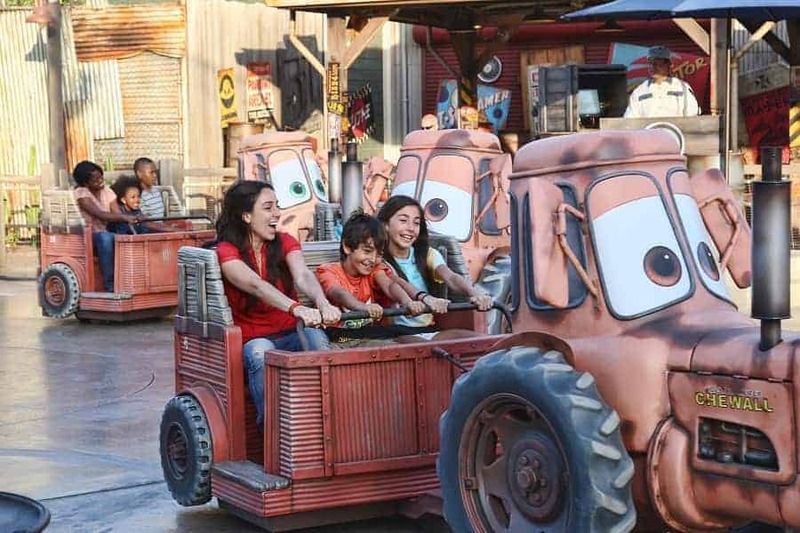 There, the tractors dance to Mater’s hoedown tune, swinging guests around in trailers they are pulling behind them. It’s a “tow-si-do” square dance to a playlist of seven songs sung by Mater himself. Check out Luigi’s cousins on this fun ride the whole family can enjoy. Each dancing car has its own high-spirited personality and signature dance moves! These means guests enjoy a different ride experience depending on which car they choose. 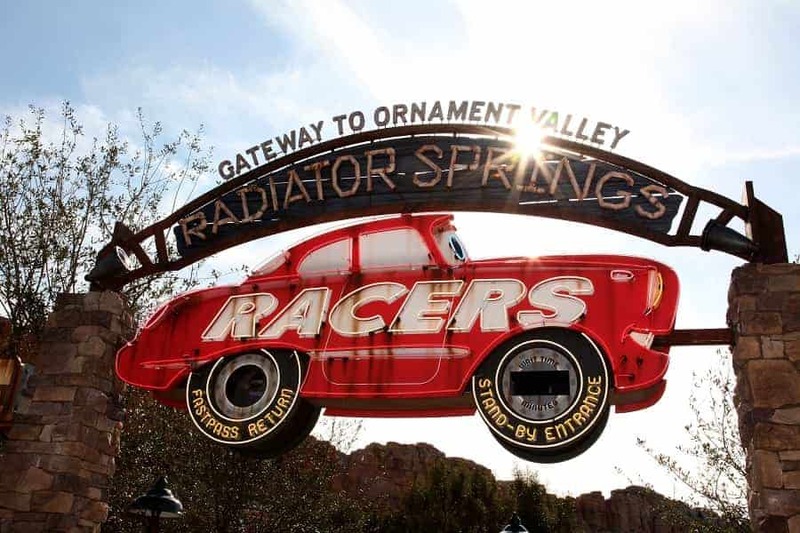 Go on a twisting, high-speed adventure through Ornament Valley and the town of Radiator Springs in the cars from the movie! This fun ride is the highlight of Cars Land and not to be missed. In this Route 66-inspired diner you will feel like you stepped right into the 1950’s. 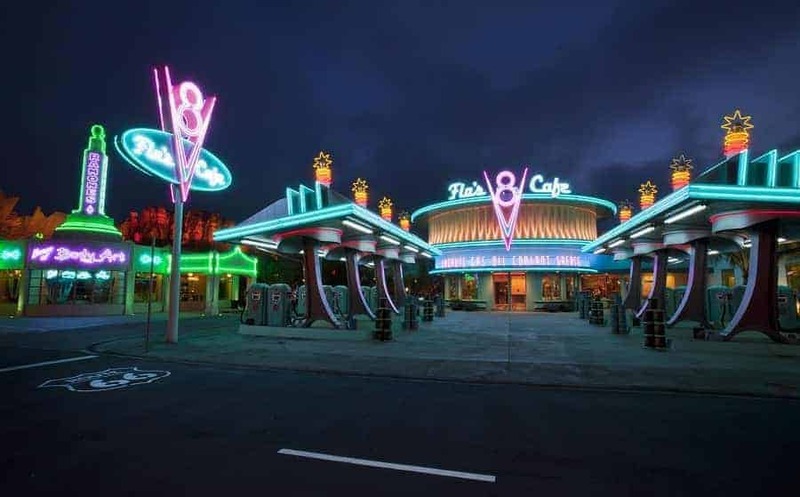 Flo’s serves 50’s style meals for breakfast, lunch and dinner. You’ll find tasty breakfast dishes like chicken tamale with scrambled eggs, brioche French toast with salted caramel and bananas. Lunch and dinner are home-style classics like pork loin, New York strip steak, and everyone’s favorite dessert: the house-made Pie-O-Rama for dessert. 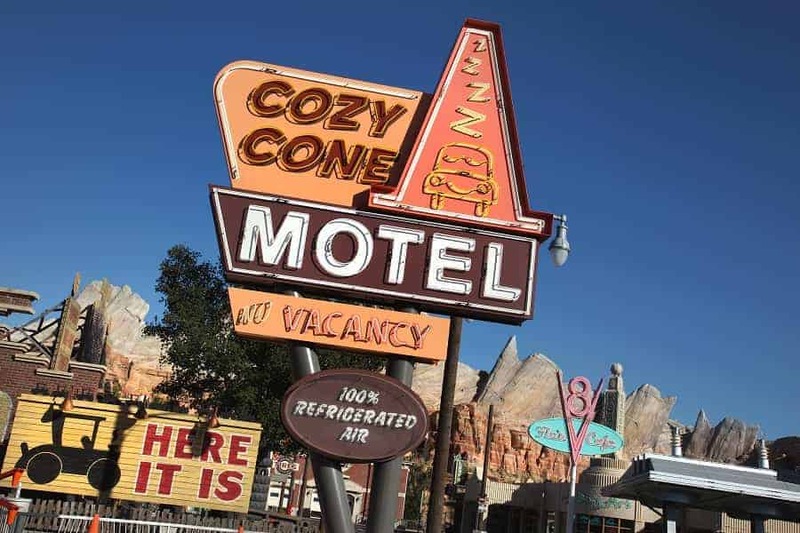 Cozy Cone Motel is inspired by the quirky “wigwam” motels along Route 66 and each of the five teepees offers tasty “cone-themed” treats. Grab an ice cream cones, chile “cone” queso, pop “cone” and other tasty “cone”-coctions! Not only will you be able to meet Lightning McQueen and Mater, you will also get to see Cruz Ramirez from Cars 3. 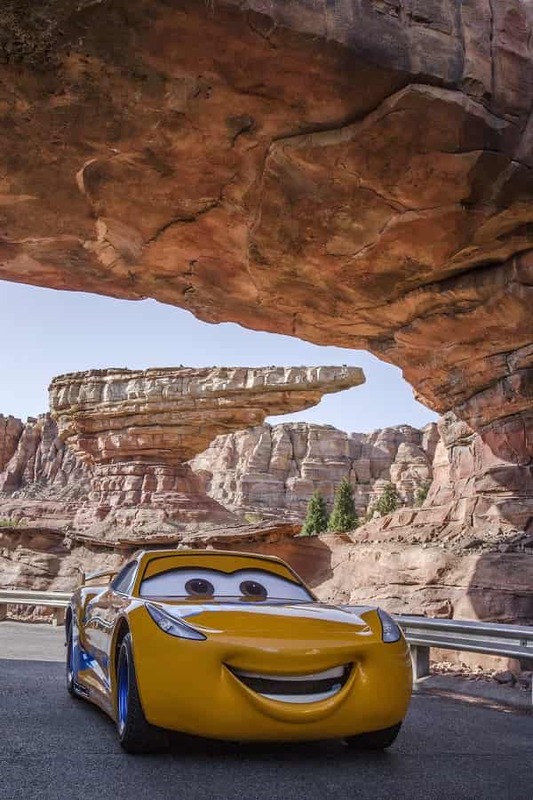 Have you had a chance to visit Cars Land in California Adventure? What was your favorite part?